Prime objective of this lecture is to Presentation on Personal Selling. 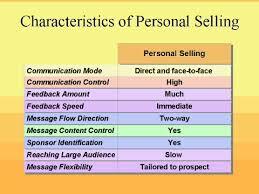 Personal Selling is the two-way flow of communication between a buyer and seller, often in some sort of face-to-face encounter, designed in order to influence a person’s as well as group’s purchase decision. Sales Management is Planning the personal selling program and implementing and controlling the personal selling effort of the firm. Personal Selling Process consisting of six stages, they are: prospecting, preapproach, approach, presentation, close, and follow-up. Here briefly explain these steps with examples. Report On General Banking Activities of Al-Arafah Islami Bank Limited.